So you’re thinking about getting into oak barrel aging? 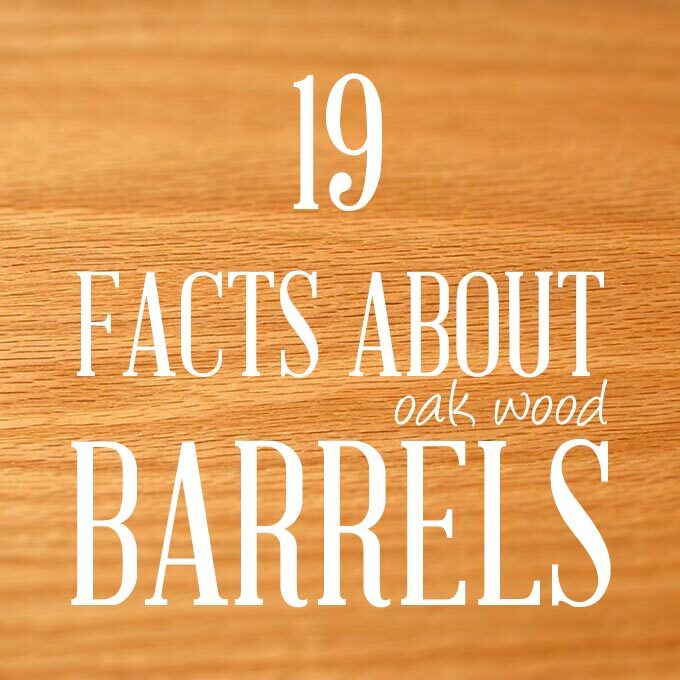 Check out these 19 fascinating facts about oak barrels and see if you might learn a little something. Someone who makes oak barrels is called a cooper. If you or someone you know has that as a last name, chances are some relative was a brewer, distiller, or winemaker. It used to be that wine was stored in clay vessels called amphorae. These (or similar vessels, the text says “stone jars”) are featured in the famous story in the Bible of Jesus turning water into wine. Stone, clay, and other pottery types were typical for storing and aging beverages in ancient times. Wood became popular during the time of the Roman Empire, as large quantities of wine needed to be transported to help quench the thirst of the great Roman armies. Wood is obviously far less breakable than clay and thus much more suitable for travel. Many woods are difficult to work with or too porous, so oak and a few other types were commonly used. Soon, wine and beer makers noticed that oak wood actually enhanced and improved the flavor and quality of the drink, so oak wood barrels became the standard for brewing and aging barrels. You can shop for your own oak barrels here. According to Wine Folly’s commentary on The World’s 50 Most Expensive Wines from Wine Searcher. Barrels can easily be rolled like a wheel, but also stand upright to remain stationary. Specifically, using an oak barrel to age the wine introduces vanillin, guaiacol, 4-ethyl guaiacol, ferulic acid, eugenol, 4-methyl guaiacol, 4-ethyl phenol and p-coumaric acid. Each of these exerts a subtle effect on the wine. Read all about it in The Complete Guide to Growing Your Own Grapes and Making Your Own Wine. Same as above, but whiskey style. Same goes for bourbon, rum, sherry, etc. 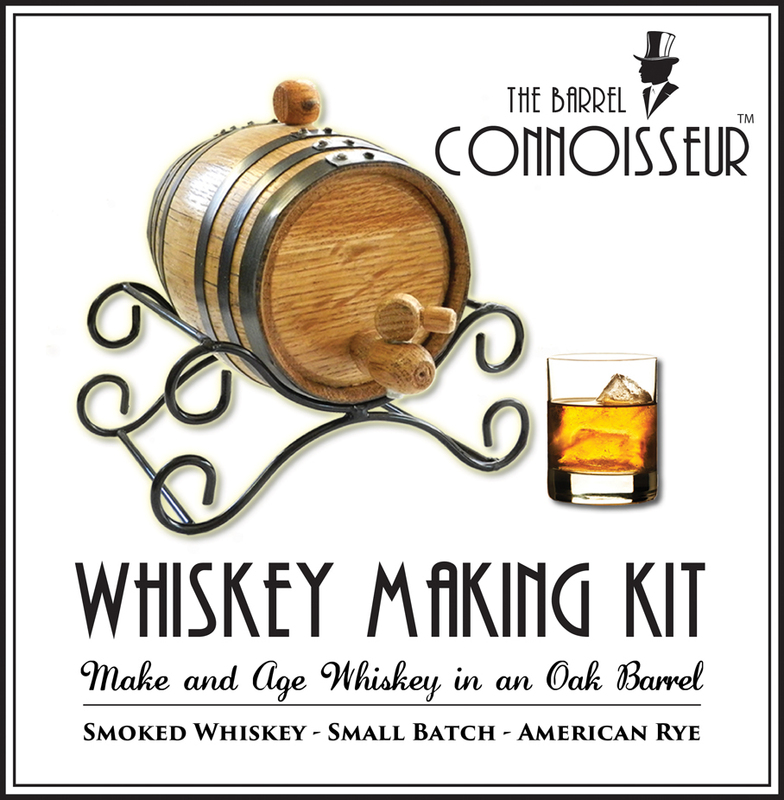 Read more in The Joy of Home Distilling. In general, the French oak wood is aged from 24 – 36 months. This aging helps to neutralize some of the coarser flavors. Many (not all) American coopers use a kiln-dry method of seasoning which is generally thought to be less refined, but much faster. A French oak tree may be 80 to 120 years old before being harvested, but only produces two barrels due to the fact that their oak must be split, yielding only 25% of the tree as usable for barrels. American oak may be serrated, making it twice as economical. The taste difference in wines aged in French oak vs. American oak are subtle, but generally those lucky souls with fine pallets declare the French oak is more subtle while the American oak is more “in your face,” as one critic described it. The barrels we offer in our web store are American White Oak barrels, available here. There are two main drying methods used for oak wood prior to being used in cooperage, and each has a distinct effect on the barrel’s flavor profile. Charring is done to maximize the effect that the wood has on the contents of the barrel. Both the temperature at which the charring is done and the length of time spent charring change the flavor profile of the barrel. Phenolic aldehyde, aka vanillin, is an organic compound that naturally occurs in a wide variety of substances. It’s the thing that makes vanilla taste and smell like vanilla, and a solution of pure vanillin – ususually synthetic – is how we get artificial vanilla. Vanillin occurs naturally in oak in a big way. By storing your wine or whiskey in an oak barrel, the liquid will slowly extract some of the vanillin and that is essentially what creates the flavor profile. There are a few other compounds in oak wood that have similar effects, but vanillin is the most notable. Toasting or charring the barrels accelerates this process, which is why the inside of barrels are usually charred. In addition to the tannins already inherent in grapes, aging wine in oak barrels extracts wood tannins that occur naturally in oak wood. Tannins are the textural element that makes the wine taste dry, adding a sense of bitterness, astringency, and complexity. Most professional coopers making barrels for vineyards and distillers won’t consider their job done until the barrels are 100% watertight and ready for use. But for the average consumer ordering an oak barrel online, don’t expect the barrel to arrive at your door ready to use. When barrels are made, they are made as tight and leak-proof as possible, but they are only watertight after being “cured” by soaking in water, often for several days. This causes the wooden staves to soak up moisture and swell, making the barrel watertight through pressure against the steel hoops. Smaller barrels have a higher surface-to-volume ratio, and as a result age and flavor the contents more quickly than a larger barrel. This means you can replicate the years-long aging done by large wineries and distilleries in a matter of mere months. This is known as the “angel’s share.” Generally the loss is about 2-5% per year, but that is accelerated in the smaller barrels that are commonly used in home aging and distilling. Variations on this system are what produces different and unique flavors. For instance, many whiskey distilleries like to use barrels from dessert wines such as Port or Sherry. Oak wood is very durable, and improves with age. The effect of age upon the barrels themselves often creates a one-of-a-kind flavor profile that professionals will pay big bucks for. Wine barrels are commonly reused over and over to create different vintages. Old wine barrels become sherry barrels, and (as noted above), old bourbon barrels have a long life of use in aging whiskey, scotch, and even wine. 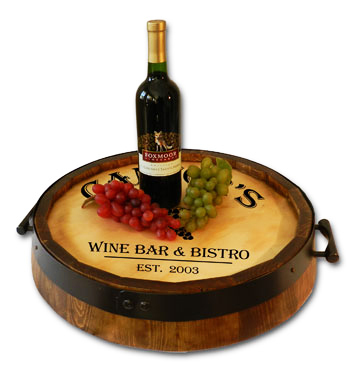 When wine barrels are retired, they can often be put to new uses: Re-purposed as furniture or planters, used as firewood for a pizza oven, dontated to a charity, sold to a distillery for use in aging and flavoring spirits. The barrel heads, too, can become vintage-style plaques, serving trays, or lazy susans. We offer a variety of oak barrels for home aging, in sizes ranging from tiny 1 liter up to large 20 liter capacities. These include a matching oak wood stand, bung, spigot, storing tablets, choice of hoop color, and optional cleaning kits. We do personalized and custom engraving on the oak barrel heads. We have a selection of premium personalized designs that allow you to insert the name and more of your choice in wine label, distillery, vineyard, and many more themes. 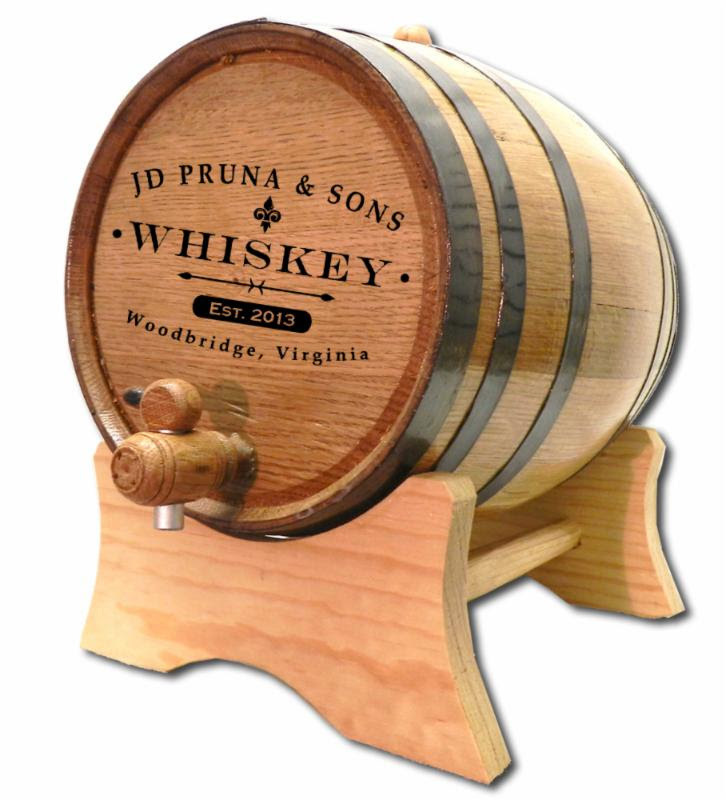 We can also custom engrave your company logo or other design onto a barrel. See more here.